The Lortons and Marrit explore Seattle together. 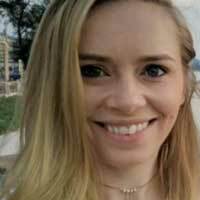 Au pair Marrit, from Holland, is only 18 years old but she has transformed daily life for the Lorton family in ways that no one could’ve expected! 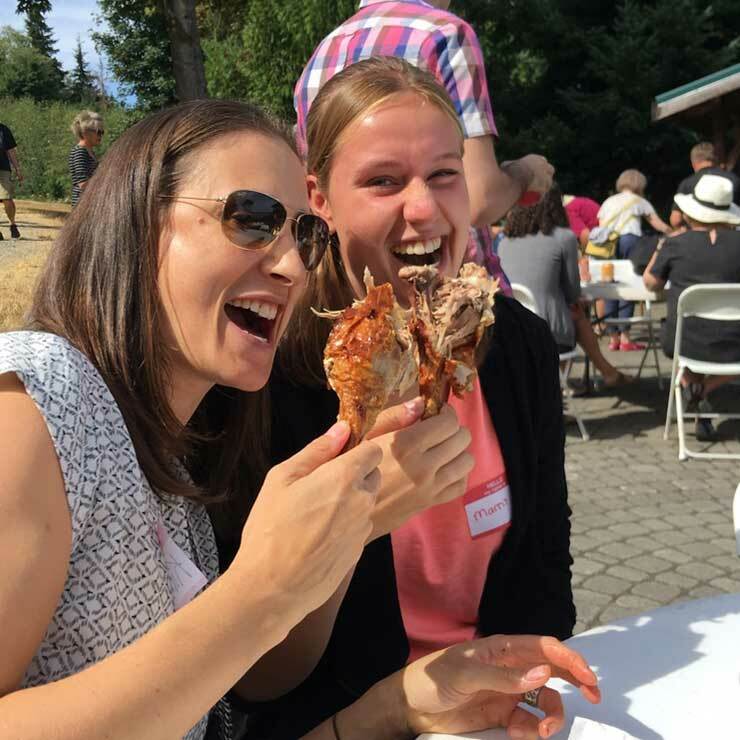 Marrit joined the Seattle area family a few months ago and her host mom Kimberly along with her host dad John cannot say enough about the positive impact she’s had in their home. Check out their story below. First of all, John and I have both experienced living internationally with a host family and this felt like a chance to give someone else an amazing international experience. In two short months, Marrit has seamlessly become a part of our family. We knew right away after our first Skype that she was fun loving, down to earth, and easy to talk to- we spent almost two hours on that first conversation! It's been just as wonderful since she arrived! 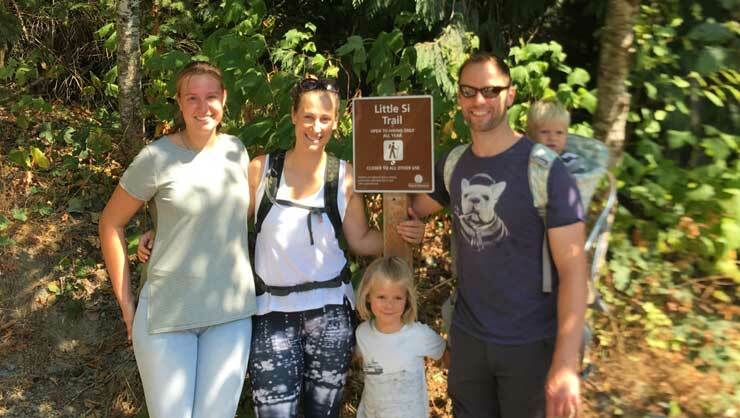 She has been able to accompany us on numerous day trips around the Seattle area, we have gotten to know her family back in Holland, and she has been an absolute dream with the children. Marrit and host mom Kimberly share their cultures with each other. I run a small business and before she arrived I felt pulled in many directions. I had to choose between paying attention to my kids and household or work duties; it was exhausting and I felt like I was always doing everything half-way. Nothing was ever done and the kids always wanted for attention and time. Since Marrit has arrived, I feel like I have a teammate who is helping me hit it out of the park! It's a different game depending on the day and the circumstances but together we get everything done, the children have the love and attention they need, and I am a better mother. I have more time to just 'be' with the children and play, I have been able to grow my business, and I have been able to take time out with my husband for the first time in years! We even started a regular date night. Marrit has been cooking a Dutch meal each week for us and has been teaching us Dutch- there are sticky notes all over the house! She decided to take sign language after seeing us use some simple signs with the kids and now we are all learning American Sign Language together. And this is only month two! All I can say is that our time together is going too fast and I genuinely feel like we will have Marrit as a part of our family forever. We even plan on traveling to meet her family and see her home at the end of the year. If this isn't what InterExchange had in mind for the end result of their program it should be! 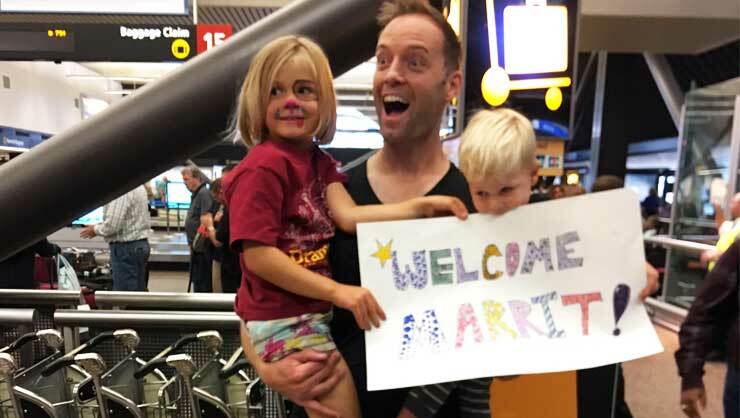 We love our Super Au Pair, Marrit! Look, anyone that covers your entire home in sticky notes with the Dutch, Frisian, and English words for every conceivable household item cares. I open drawers to find yellow pads labeled “lepel” covering the spoons. I open the fridge to find “koelkast” posted on the “duer”. Host dad John and Marrit's host kids wait to welcome her to the USA. Marrit is THE Super Au Pair. She not only enriches our kids' lives, she enriched ours. Super means excellent and exceptional but it also means above or beyond. Marrit is undoubtedly exceptional and she has gone so far beyond the requirements of the “job” that she is an integral member of our family. She truly loves our children and we all love her. Everyone applying for this exceeds the requirements. But what makes Marrit truly super, what makes her stand above anyone else we could have matched with, is her super ability to express unconditional love and have that manifest in her care for Vivienne and Greyson. We love her, she loves all of us. And we are already angling for a second year! Marrit is amazing.